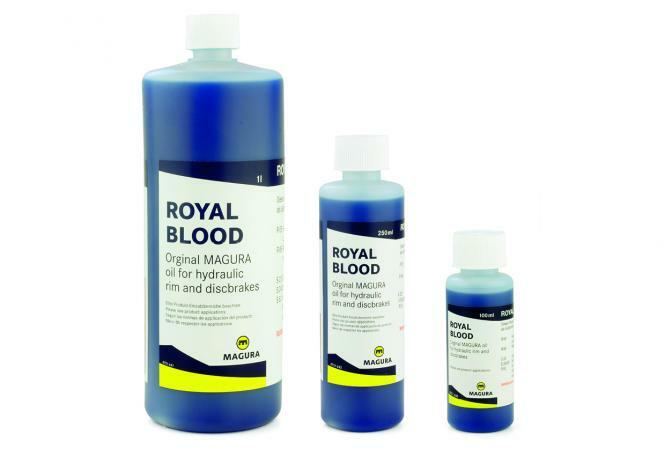 All MAGURA brakes use low viscosity mineral oil (Royal Blood) as hydraulic medium. Contrary to DOT brake liquid it irritates human skin nor damage the paint off your frame. Biggest asset: It does not absorb water and actually lubricates the whole system. Regular bleeding caused of old brake liquid is therefore not necessary! 5 Years leak proof warranty by using MAGURA Royal Blood. Please pay attention to the safety instructions on the packaging working with Royal Blood. For all MAGURA disc and rim brakes.